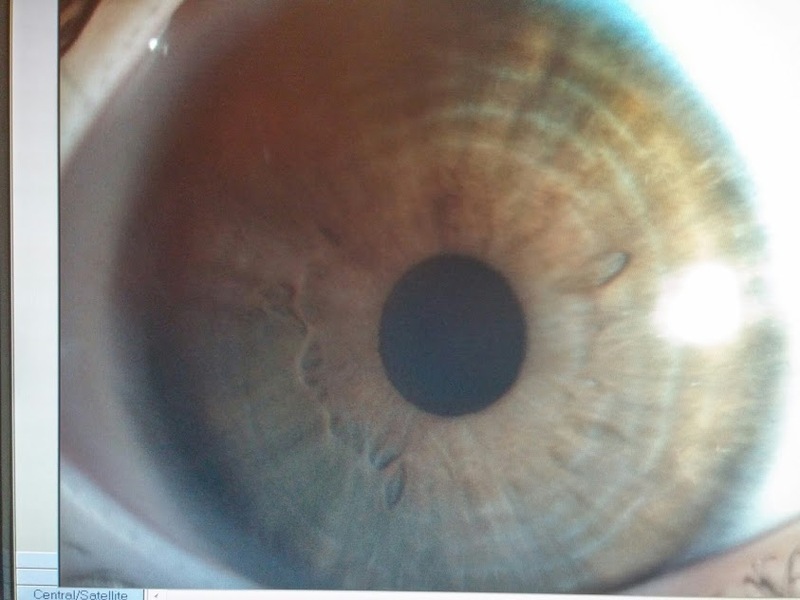 3 year old presented for routine exam has an ocular exam shown in the picture. Note the first two were undilated and the third was following dilation. He was -16 Ds OU with otherwise normal exam. What is wrong with him? What syndrome is most frequently associated with this condition? How do you break an attack of glaucoma in this condition? What is the definitive treatment? Microspherophakia is a developmental abnormality in which the lens is small in diameter and spherical in shape. The entire lens equator can be visualized at the slit lamp when the pupil is widely dilated (Fig 1,2,3). 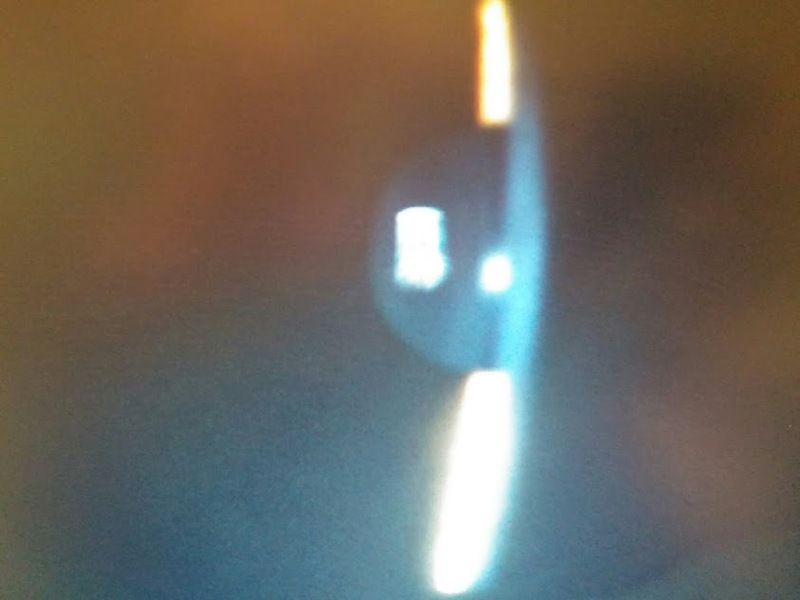 The spherical shape of the lens results in increased refractive power, which causes the eye to be highly myopic which is the reason why our patient was -16 D myope. Faulty development of the secondary lens fibers during embryogenesis is believed to be the cause of microspherophakia. Microspherophakia is most often seen as a part of Weill-Marchesani syndrome. Can also be seen as an isolated hereditary abnormality or rarely, in association with Peters anomaly, Marfan syndrome, Alport syndrome, Lowe syndrome, or congenital rubella. The spherical lens can block the pupil, causing secondary angle-closure glaucoma. Miotics aggravate this condition by increasing pupillary block and allowing further forward lens displacement. 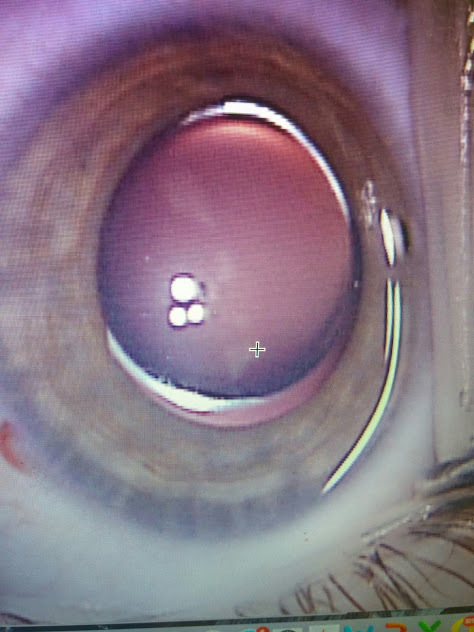 Cycloplegics are the medical treatment of choice to break an attack of angle-closure glaucoma in patients with microspherophakia because they decrease pupillary block by tightening the zonular fibers, decreasing the anteroposterior lens diameter, and pulling the lens posteriorly.